This stunning pendant, made from 14k gold, represents the Hamsa, which is known to keep the wearer away from the Evil Eye. On the upper side of the palm, a design of our beloved Jerusalem city is engraved. 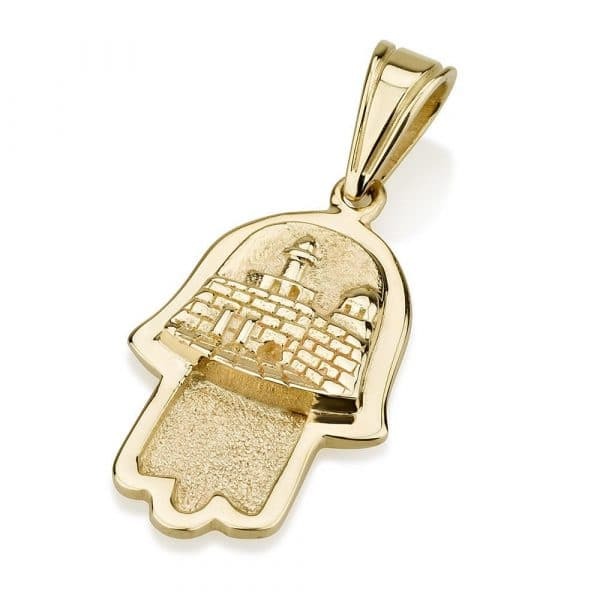 This stunning pendant, made from 14k gold, represents the Hamsa, known to keep the wearer away from the Evil Eye. 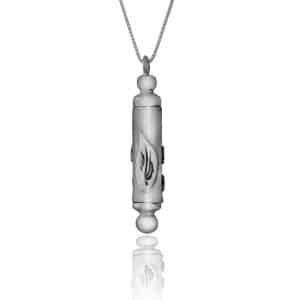 The unique design of the pendant is an example to original Israeli jewelry. It is a refined workmanship that utilizes the ancient Yemenite craft of Filigree. It is a jewelry making with some stones placed with flat surface. The families of the silversmiths are the ones appointed to design and make this jewelry for Royal court, Yemen. 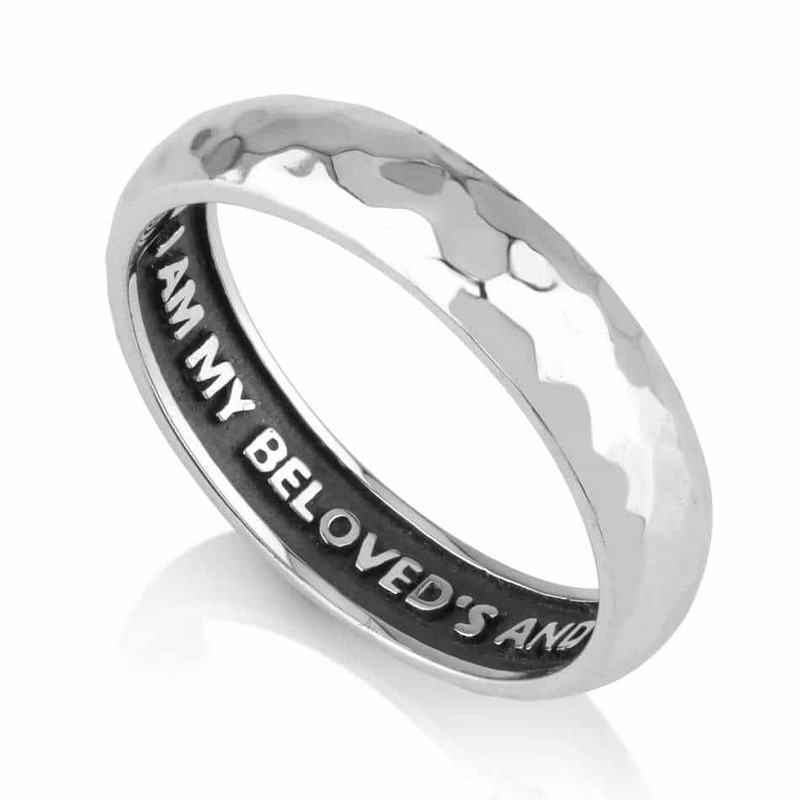 Thus, this jewelry has become a lightness design and luxurious elegance for ones worn. On the upper side of the palm, an engraved design of our beloved Jerusalem city. The work is so fine that you can notice the typical Jerusalem domes, stones, arches etc. At the top of the Pendant the inscribed word Jerusalem is present. The opposite side of the pendant is the Hamsa. The hamsa pendant is impressive amulet of delicate filigree work. The hamsa hand (Arabic) or chamesh fingers (in Hebrew) is an old and popular amulet. It is for the magical protection from the evil eye. It is known to draw positive energy, happiness, riches and health. Wearing something of an evil eye believed to have protection against all evil forces. The evil eye has a symbolism image in every country in the world. It is in every religion all over the world. In the modern times, people don’t believe on the evil eye. But one part of us have a doubt on the existence of the effects of evil eye. These jewelries are popular. Since they provide us with a power packed potential. 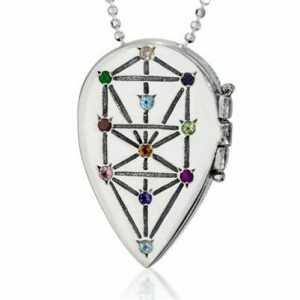 A refined piece of artistry, this pendant makes a great and pretty gift on any occasion. The pendent is so beautiful that feels to give some different energy. This stunning pendant, made from 14k gold, represents the Hamsa, known to keep the wearer away from the Evil Eye. 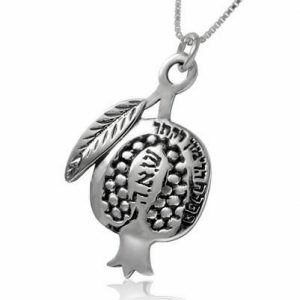 The unique design of the pendant is an example to original Israeli jewelry. 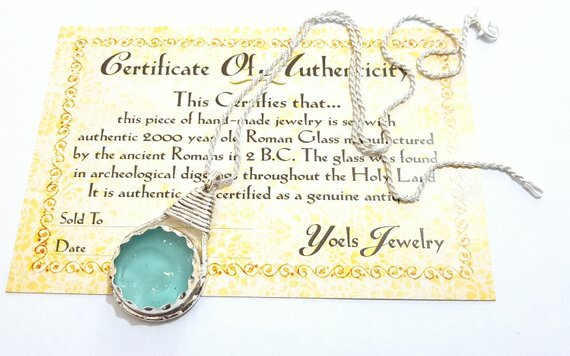 It is a refined workmanship that utilizes the ancient Yemenite craft of Filigree. It is a jewelry making with some stones placed with flat surface. The families of the silversmiths are the ones appointed to design and make this jewelry for Royal court, Yemen. Thus, this jewelry has become a lightness design and luxurious elegance for ones worn. On the upper side of the palm, an engraved design of our beloved Jerusalem city. The work is so fine that you can notice the typical Jerusalem domes, stones, arches etc. At the top of the Pendant the inscribed word Jerusalem is present. The opposite side of the pendant is the Hamsa. The hamsa pendant is impressive amulet of delicate filigree work. The hamsa hand (Arabic) or chamesh fingers (in Hebrew) is an old and popular amulet. It is for the magical protection from the evil eye. It is known to draw positive energy, happiness, riches and health. Wearing something of an evil eye believed to have protection against all evil forces. The evil eye has a symbolism image in every country in the world. It is in every religion all over the world. In the modern times, people don’t believe on the evil eye. But one part of us have a doubt on the existence of the effects of evil eye. These jewelries are popular. Since they provide us with a power packed potential. A refined piece of artistry, this pendant makes a great and pretty gift on any occasion. The pendent is so beautiful that feels to give some different energy.